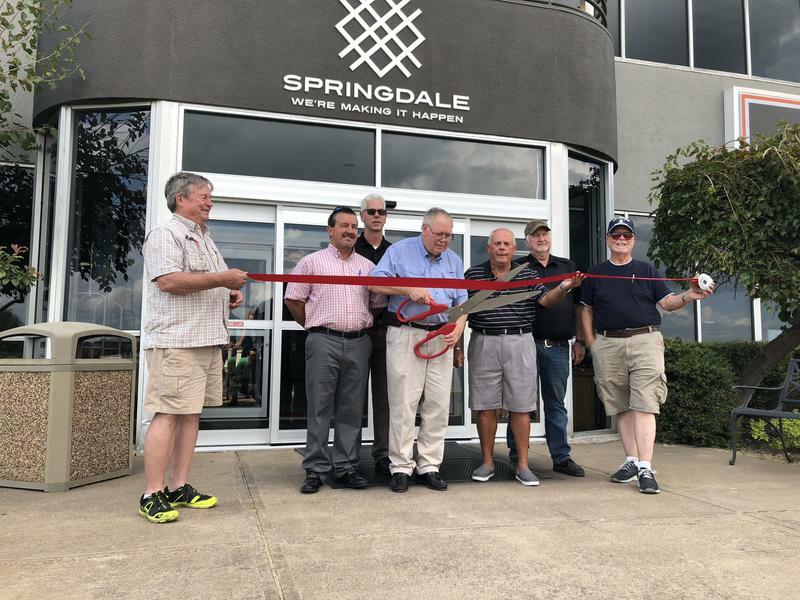 Officials marked the reopening of the Springdale Municipal Airport Oct. 2 with a ribbon cutting ceremony. The airport was closed for two weeks while the runway was resurfaced. A $2.2 million upgrade project is complete at the Springdale Municipal Airport. Upgrades include a resurfaced runway and installation of LED lighting. The project was paid for through grants from the Federal Aviation Administration and from the Arkansas Department of Aeronautics.